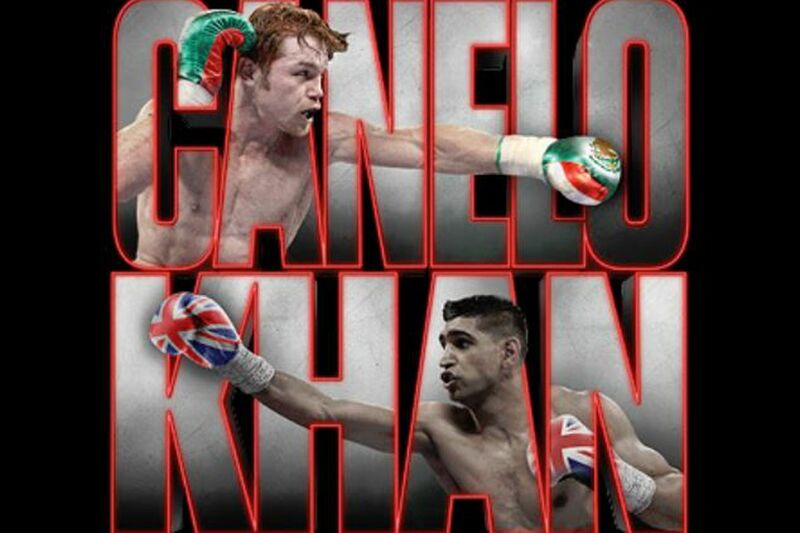 Tonight (Sat., May 7, 2016) inside T-Mobile Arena in Las Vegas, Nevada, two of boxing’s biggest figures collide for the Middleweight title as Saul “Canelo” Alvarez puts his WBC title on the line against former Olympian Amir Khan. MMAmania.com will deliver LIVE coverage of “Canelo vs. Khan,” starting with the HBO pay-per-view (PPV) broadcast TONIGHT at 9 p.m. ET. Alvarez (46-1-1, 32 KO) and Khan (31-3, 19 KO) will battle it out at a 155-pound catchweight, the same weight at which the Mexican sensation outdueled Miguel Cotto to win the aforementioned belt. The ostensible size discrepancy and Khan’s issues with power-punchers have Alvarez pegged as a heavy favorite, although the English speedster is no pushover. The fight is bolstered by a solid undercard line up, featuring a classic prospect vs. veteran matchup in the co-feature and a pair of middleweight bang fests to start things off. Unbeaten Frankie Gomez (20-0, 13 KO) looks to finally live up to his incredible potential against the ever-craft Mauricio Herrera (22-5, 7 KO), David Lemieux (34-3, 31 KO) attempts to bounce back against Glen Tapia (23-2, 15 KO), and Patrick Teixeira (26-0, 22 KO) takes a step up against the wicked left hook of Curtis Stevens (27-5, 20 KO).